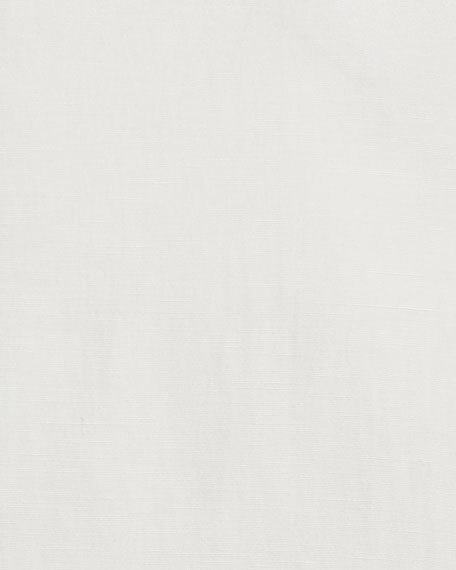 Ralph Lauren slub jacket in solid linen-blend. Belstaff "Halewood" café racer biker-style jacket in water-resistant tech. 91/9 duck down/feather fill. Stand collar with snap tab; zip front. Belstaff "Halewood" café racer biker-style jacket in water-resistant tech. 91/9 duck down/feather fill. Stand collar with snap tab; zip front. Long sleeves; logo patch at left. Front zip pockets. Slim fit. Self and sleeve lining, nylon. Dry clean. Imported. Model's measurements: Height 6'1"/185cm, waist 32"/81cm, typically wears size M.
DSquared2 dinner jacket in lustrous metallic-knit jacquard. Peak lapel with satin trim; single-button front. Four kissing-button detail at cuffs. Welt pocket at chest. Flap pocket at hips. Double-vented back. Polyester/silk. Made in Italy. 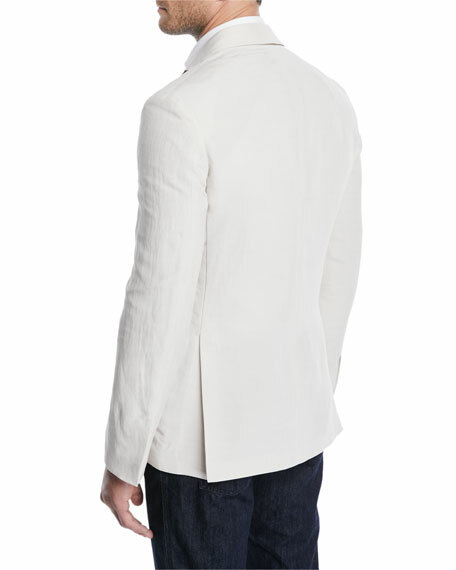 Kiton textural tic sport coat. Notch lapels; three-button front. Lightly padded shoulder. Welt pocket at chest. Flap pockets at sides. 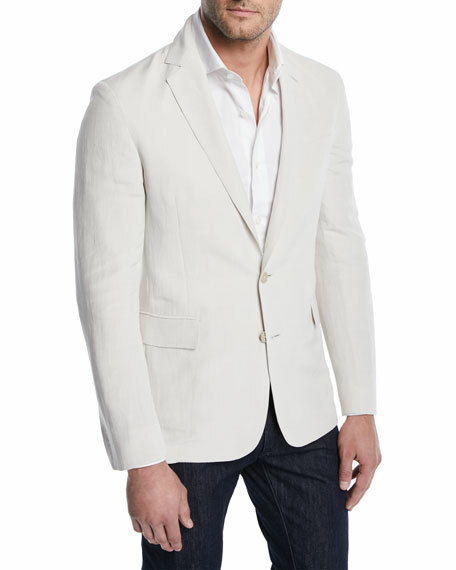 Kiton textural tic sport coat. Notch lapels; three-button front. Lightly padded shoulder. Welt pocket at chest. Flap pockets at sides. Double-vented back. Trim fit. Cashmere. Made in Italy. Model's measurements: Height, 6'2"/188cm, Suit 40L, Shirt 14.5x35, Waist 32"/81cm, Inseam 33"/84cm. Neiman Marcus sport jacket in houndstooth check. Notched lapel; three-button front. Four-button detail at cuffs. Welted barchetta pocket at chest. Neiman Marcus sport jacket in houndstooth check. Notched lapel; three-button front. Four-button detail at cuffs. Welted barchetta pocket at chest. Patch pockets at sides. Double-vented back. Cotton/wool/polyester. Made in Italy. Model's measurements: Height, 6'1"/185cm, waist 30"/76cm, suit 38R, shirt 14.5x34, inseam 34"/86cm.